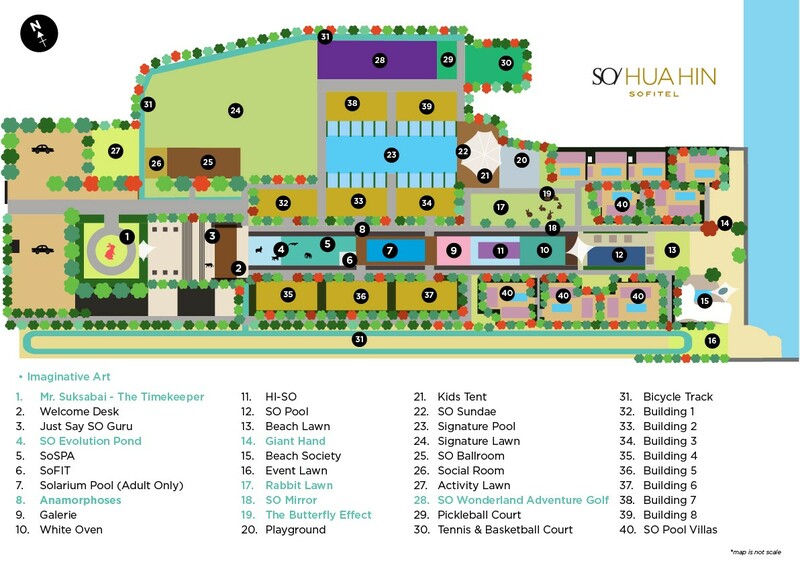 SO Sofitel Hua Hin is an artistic adventure though the Evolution of Life, designed by award winning architect, designers and enhanced with signature fashion designer, Polpat Asavaprapha. The journey unfolds at the moment of arrival at the geometrical landscaped courtyard and progresses with every step, through the open-air lobby and the interwoven maze of open courtyards and private pathways filled with hidden art and animal figures waiting to be discovered. Situated beachside with a 2.5-hour drive from Bangkok and 30 minutes from Hua Hin, the resort has 109 rooms and pool villas split into two distinct styles: SO Arty and SO Nature. Surprising wine and dine experiences awaits at the contemporary Thai restaurant White Oven, the playful beach club Beach Society, the rooftop bar HI-SO and the cheeky pool bar SO Sundae, while well-being experiences are offered at SoSPA and SoFIT. Meeting spaces range from SO Ballroom to beachside event lawns for tailored moments. Exciting activities are carried out all day long with Wibit Adventure Float, 18 hole SO Wonderland adventure golf, Kids Tent, tennis court and bicycle track. 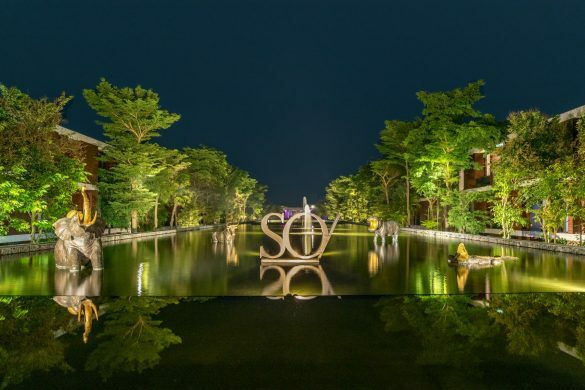 SO Sofitel Hua Hin brings the pulse to one of Thailand’s most popular beach destinations, a playful yet luxurious resort to have fun and contemplate over design and art, an Imaginative Escape waiting to be explored.